If you check the most recent comment to this site, you’ll see someone informing me that Thursday night was UCLA “Spirit Squad Night” at Pauley Pavilion, and asking where the photos are. Believe me — I’m as disappointed as he is that I was unaware of the event. I definitely would have attended had I known. Even though my photos of the girls INSIDE the poorly-lit arena never seem to do them justice, I would have done my best to promote the squad. 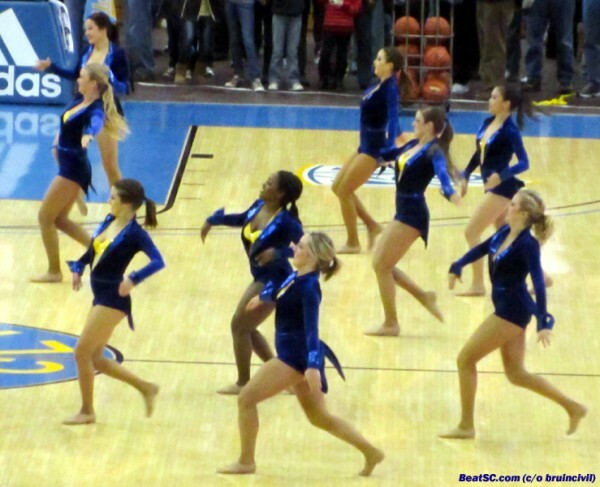 But just when I was at my lowest point, lamenting the sad fact that no one let me know of the important event in advance, I got something of a godsend: Without any urging, one of my best Bruin fan-friends surprised me by sending me 9 photos of the Spirit Squad, in action on their special night. So, thanks to “bruincivil,” here are 9 pics of the gorgeous Bruin girls, in stunning, warm fuzzy outfits, doing what they do best. 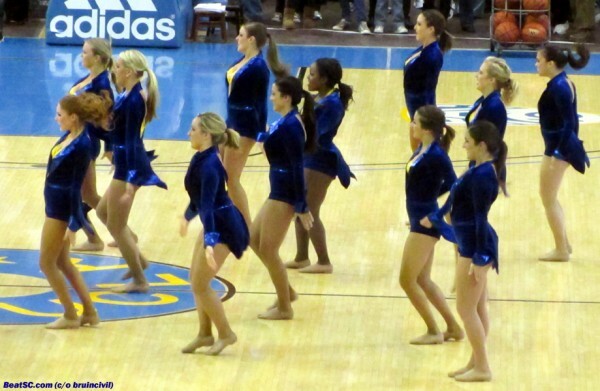 "BLUE VELVET CUPCAKES" was published on February 26th, 2011 and is listed in Blue & Gold News, UCLA/usc/Cheerleader Photos. these girls put on a great show at halftime, how many of them are actually on the spirit squads, do you know? there a few girls I did not recognize. 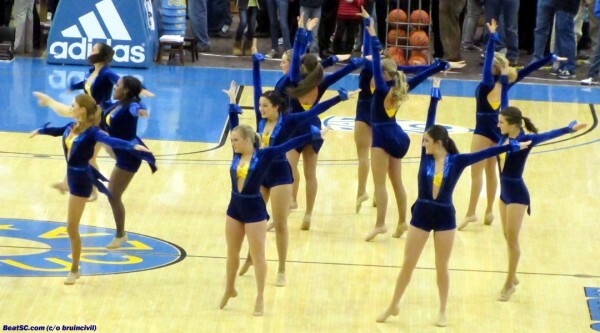 I heard that the UCLA Dance Team joins dance competitions (and usually wins first place!) and since the regular 11-member team is too small, they audition more girls (3-4) to join them but ONLY for these competitions. I believe the routines they do at halftime are what they perform in those competitive dances. Maybe someone from the Spirit Squad here can post and confirm. 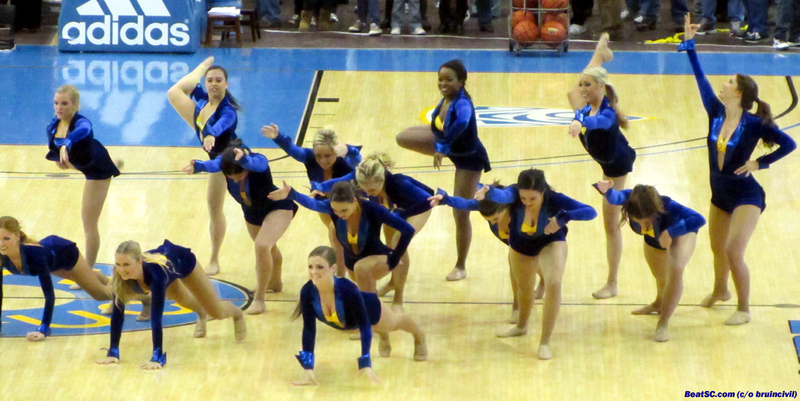 It was the UCLA competition dance team that performed at the Thursday halftime. They are participating in the big competition in Anaheim this weekend vs schools from all over the country. 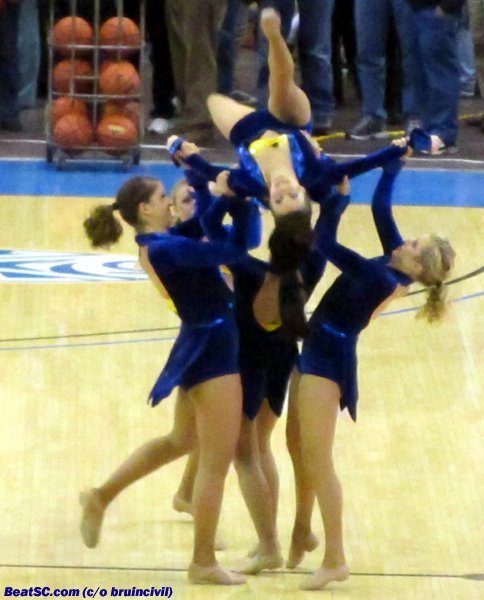 Many are on the current Spirit squad and other will be on future squads. 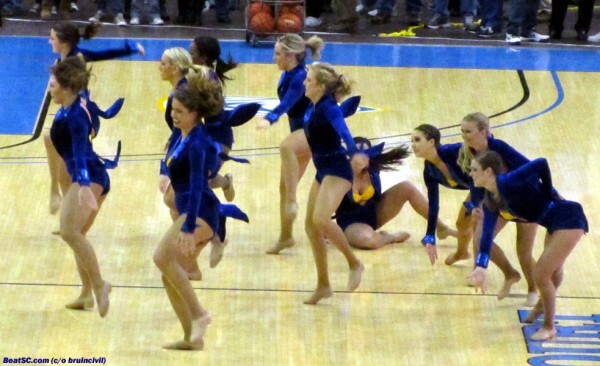 Go Bruins. 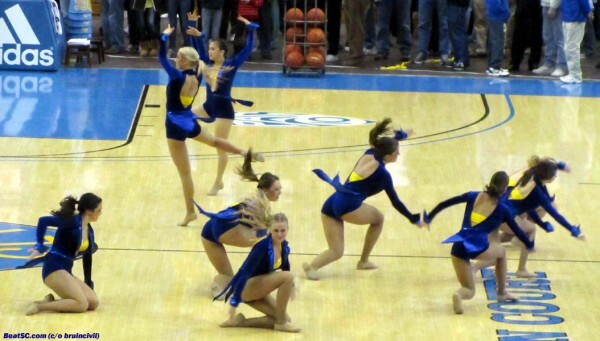 Weekend competition update: We made it to finals and are competing our routine again tonight! 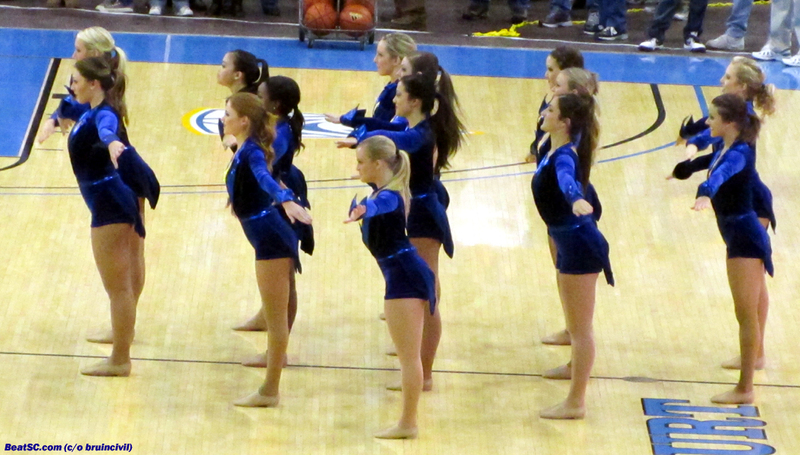 The competition dance team consists of the 11 on the dance team and 4 other girls who auditioned to be on the comp team. Can’t wait to perform tonight! That WAS the Erin, I will check on FB and see how they did. In 2008 the won the National Championship, so good luck to them. Go Bruins! !